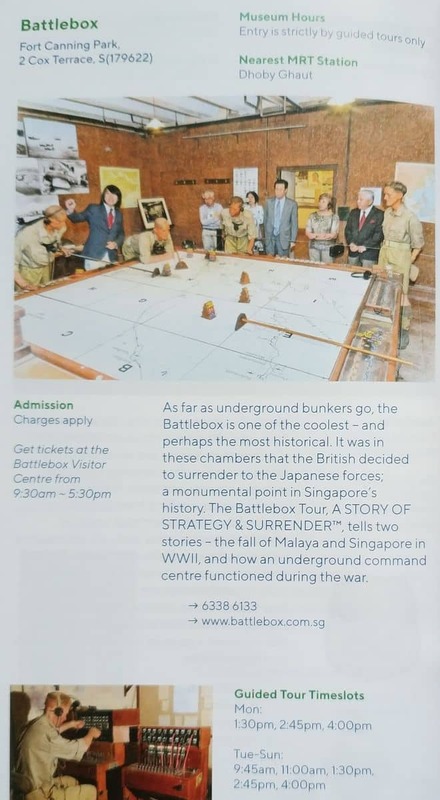 The Battlebox is considered one of the major tourist attractions in Singapore. Standing tall amongst the most important military sites during World War II, it is a vast bunker located around 9 meters below ground in Fort Canning Park and was constructed in 1936. 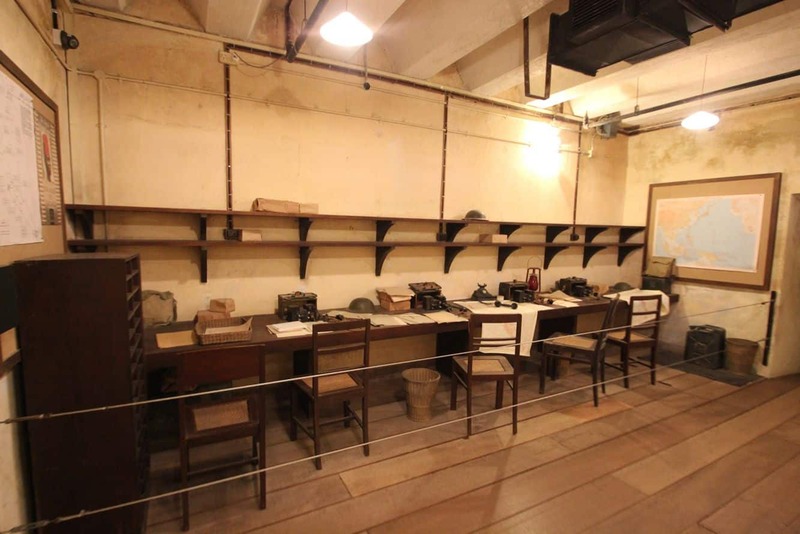 The momentous decision to surrender Singapore to the Japanese on 15 February 1942 was made inside the Battlebox. 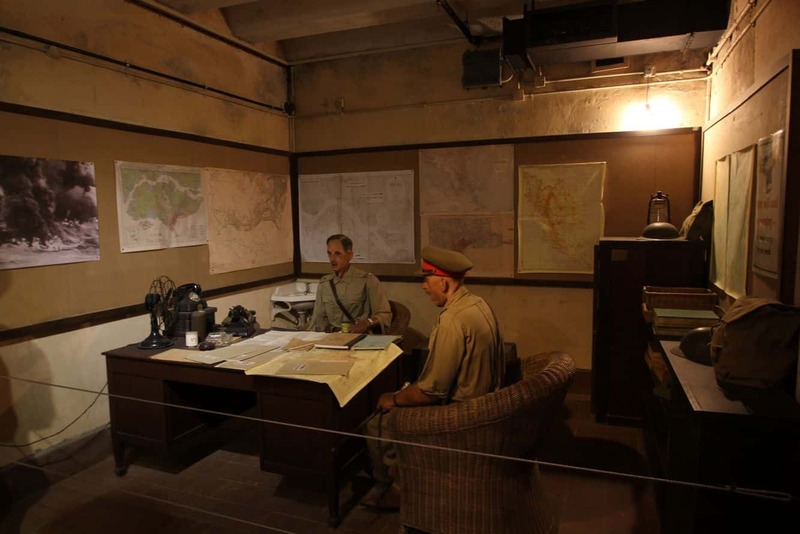 The Battlebox was part of the headquarters of Malaya Command, the army which defended Malaya and Singapore in WWII. The surrender marked the beginning of the end of the British Empire, and the start of the darkest chapter in Singapore’s modern history. 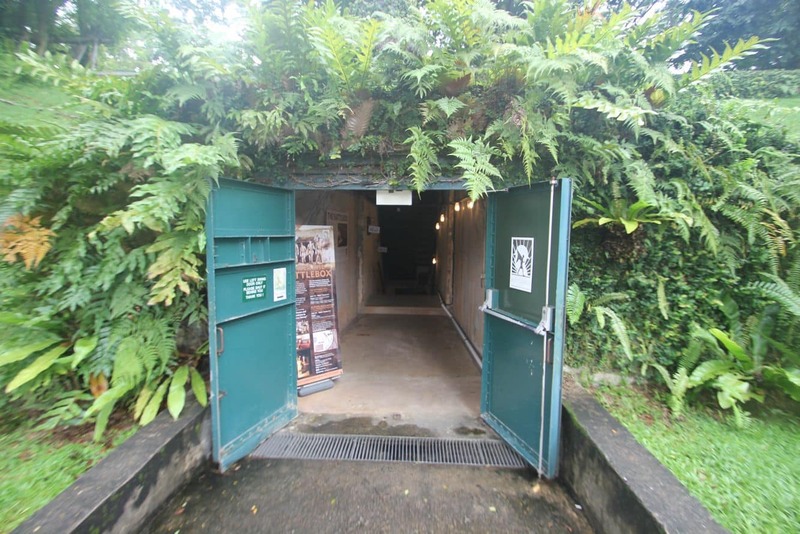 The Battlebox is located 9 metres (3 storeys) under Fort Canning Hill and is comprised of 2 entrances, 27 rooms and a cat ladder escape hatch. The structure was made bomb proof but was very susceptible to flooding due to a nearby reservoir. Plans were made and completed to prevent this flooding before the outbreak of war. 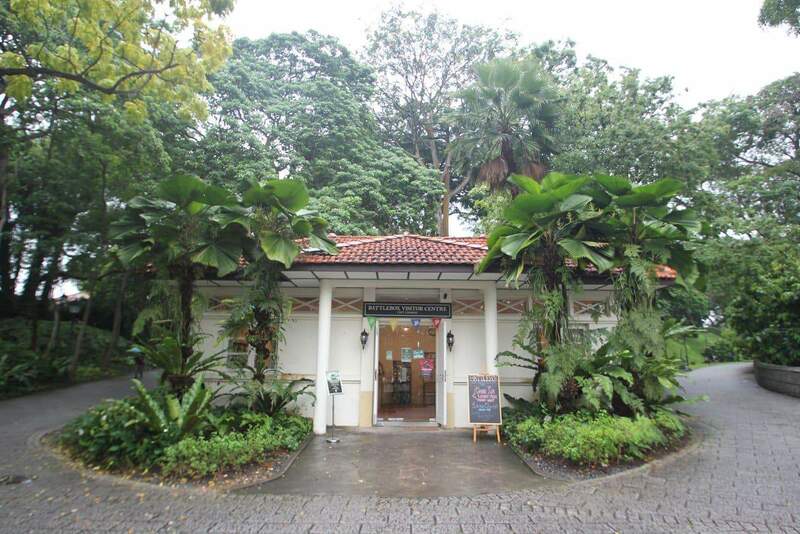 Fort Canning was then taken over by the Japanese Military Defence, and their headquarters became the Battlebox. Later, the Japanese surrendered, and it was used briefly before closing it indefinitely. 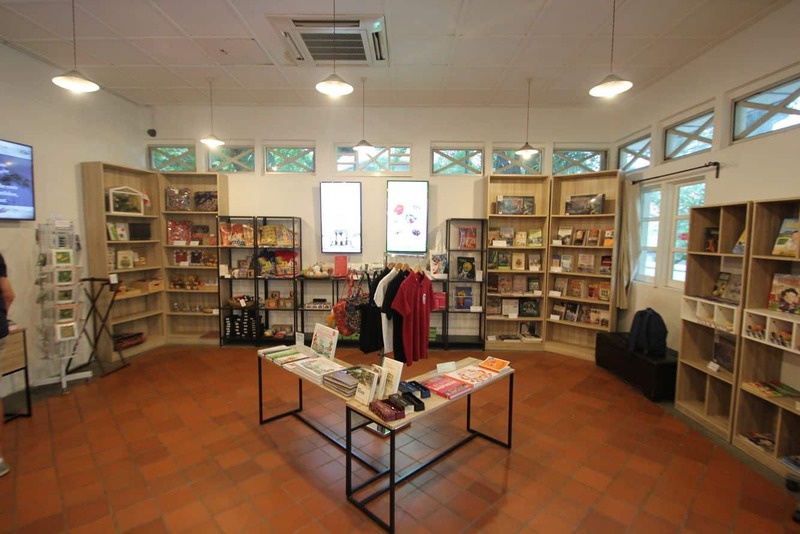 During 1988, it was then re-opened and started to be made into a museum that would remember its occupants and also serve as a reminder when Singapore was surrendered to the Japanese. In 1997, the Battlebox was opened as a war museum accessible to the public. Entrance to the Battlebox is via a guided tour only. Tours run regularly at the following times; Mondays: 1.30pm, 2.45pm and 4.00pm. Tuesdays to Sundays: 9.45am, 11.00am, 1.30pm, 2.45pm and 4.00pm. Tours run for approximately 60-75 minutes. Battlebox is open every day, including public holidays. 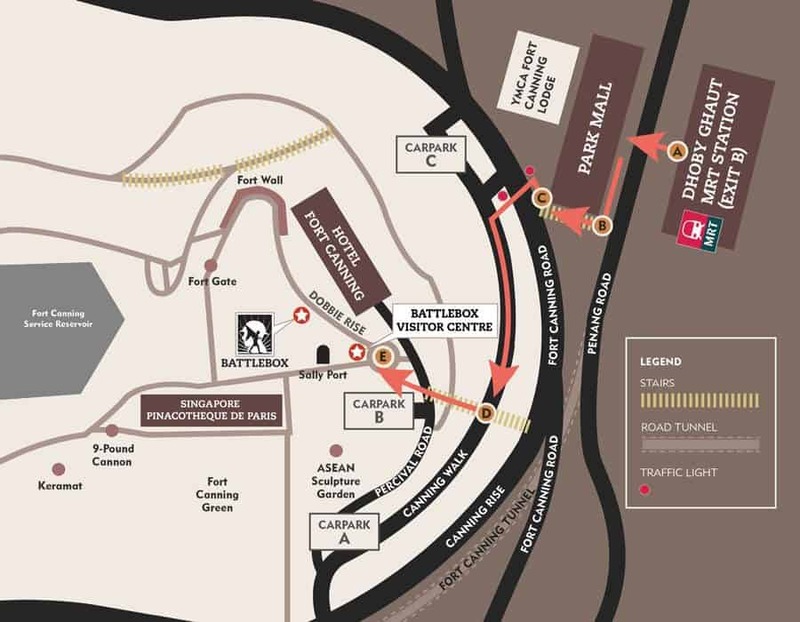 Tour tickets can be purchased at the Battlebox Visitor Centre, and tours commence and finish there. 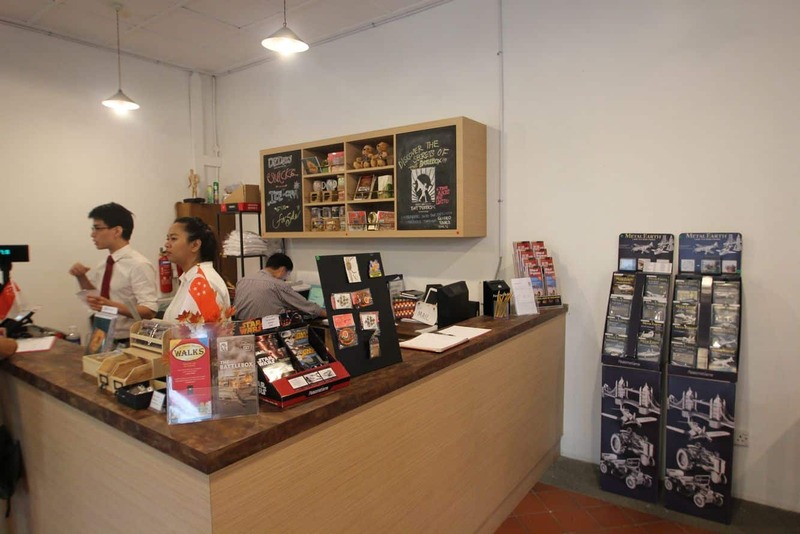 Battlebox is located at Terrace Singapore and accessible by bus or by a taxi. Alternatively, catch the MRT and get off at Dhoby Ghaut Station, Exit B.